Nike Sportswear is set to debut the Nike Air Foamposite Pro Metallic Gold colorway as part of their Holiday 2017 lineup. A luxurious take on the classic silhouette that’s suited for a king. 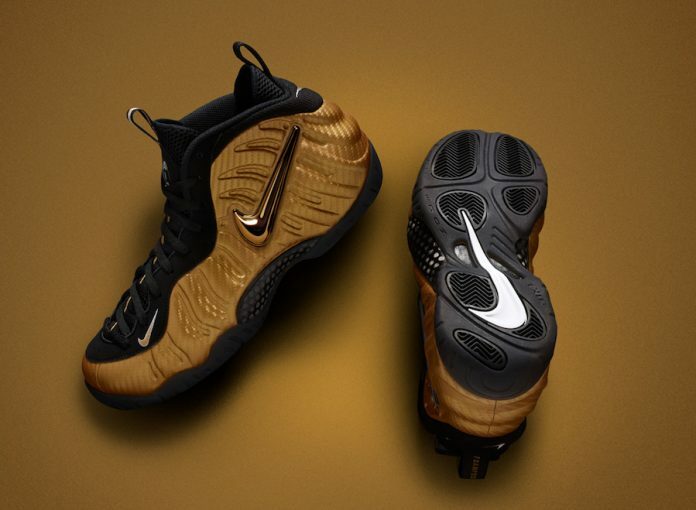 UPDATE: Nike releases official photos of the “Metallic Gold” Air Foamposite Pro. UPDATE: Detailed photos of the “Metallic Gold” Nike Air Foamposite Pro via FineLine1721.